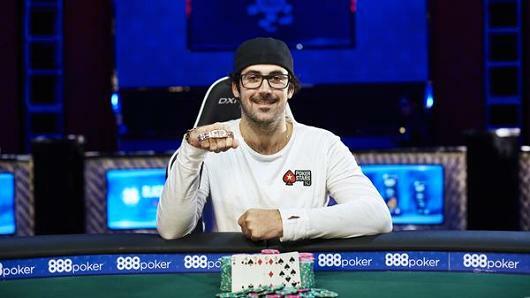 2017 World Series of Poker Preview: Can Jason Mercier Repeat his Insane 2016 Performance? 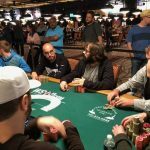 News Home > Poker > 2017 World Series of Poker Preview: Can Jason Mercier Repeat his Insane 2016 Performance? Can you believe it, the 2017 World Series of Poker is but a few days away? No offense to Christmas season, but this truly is the most wonderful time of the year in the poker community. Poker players from all around the world, as we speak, are packing their bags for Las Vegas. A summer filled with extreme heat, nightclubs, and massive pots (hopefully in your favor). One sick heater and you’ll go from eating Ramen Noodles to dining at Picasso inside Bellagio. Jason Mercier could already afford to eat at any restaurant before last summer. 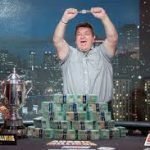 But the Team PokerStars Pro went from rich to richer at the 2016 WSOP. Every year, a player or two does something special at the World Series of Poker. In 2009, Jeffrey Lisandro won three bracelets. Phil Ivey did the same in 2002 and won two in 2009. As impressive as those accomplishments were, Mercier’s eight-day run was arguably more incredible. The Floridian won two bracelets, finished runner-up in one event, and 8th in another, all within a matter of days. Can he do it again this year? Will someone else make everyone in the poker world drop what they’re doing to pay attention? The biggest change to the 2017 WSOP is the removal of the November Nine concept. The Main Event final table will air live on ESPN in July. Most in the poker community have applauded this decision. ESPN also recently announced it will pick up live coverage from the start of the Main Event. There will be more poker on television this summer than in recent years. Daniel Negreanu has six career WSOP bracelets. He’s the all-time winningest tournament poker player. But he isn’t resting on his laurels. Kid Poker announced he will play a grueling WSOP schedule this summer. If you’re a fan of the poker legend, you’ll have plenty of opportunities to see him in action at the Rio next month. The high-roller events are usually towards the end of the WSOP. Not this year. Event #6, the $111,111 One Drop High Roller gets underway June 2. 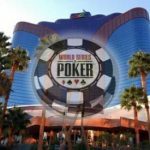 This event begins a day after the $300,000 buy-in Aria Super High Roller Bowl concludes in Las Vegas. The WSOP staff may have realized the same pros playing in that event will play the One Drop so it made sense to schedule them days apart. At 83-years-old, Doyle Brunson doesn’t have it in him to grind poker tournaments anymore. He hasn’t appeared in a WSOP event for a few years. But the poker legend, a two-time Main Event champion, recently announced on Twitter he plans on playing in the $10,000 buy-in tournaments. It all depends on his wife’s health. Let’s all hope she stays healthy and Doyle graces us with his presence at the Rio. What About Ferguson and Lederer? Poker fans will be excited to see Doyle compete in WSOP events. But the same can’t be said for Howard Lederer and Chris “Jesus” Ferguson should they decide to play. Last year, they arrived at the Rio to the dismay of the poker community. Ferguson had a successful series, his first appearance since 2010, cashing in 10 events. The once popular poker pros hadn’t shown their faces around poker much since the 2011 Black Friday scandal. They were executives at Full Tilt Poker and received hefty bonuses while regular players were forced to wait years to get paid. This incident still hasn’t been forgiven by the poker community and we’re betting it hasn’t been forgotten either, stay tuned to see how this particular situation develops during the 2017 World Series of Poker. CardsChat will have you covered daily during the 2017 WSOP, with recaps, interviews, and feature stories. WSOP Week One: Phil Hellmuth High Markup, Phil Ivey Low Stakes, and Who Is Elio Fox? You’re wrong. Not everyone is still pissed at Lederer and Ferguson. They did their “time”, and they’ve always done a lot of good things for the game and the community. There are bigger crooks and bad seeds running around in the game today. Most players and fans have forgiven and forgotten; primarily a few media egotists won’t move on and roil the waters for their own attention.